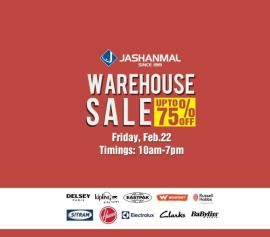 The Jashanmal Clearance Sale is back with up to 75% discounts on select items from your favorite brands - Kipling, Eastpak, Wildcraft, Delsey, Hoover, Electrolux, Sitram and many more. Date: Friday, 22nd Feb, 2019. Time: 10 am - 7 pm. 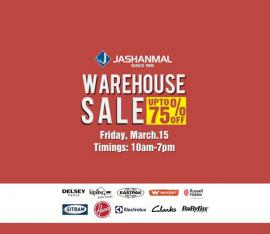 Location: Jashanmal Warehouse/Service Center Al Quoz Industrial area 3, Dubai. 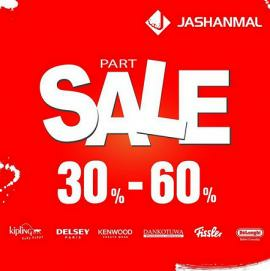 Jashanmal Home - Part Sale 30% - 60% off + Extra 10% discount. May 18th - 20th. 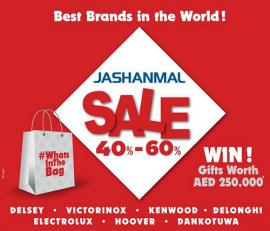 Jashanmal - Up to 30% off on Delsey selected range. Plus! 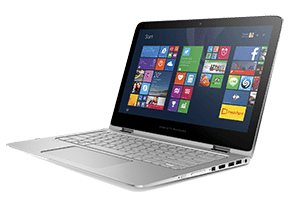 Get a free Delsey laptop backpack on any purchase of Dh. 349. Hurry! 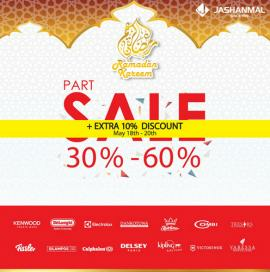 offer valid till stocks last. 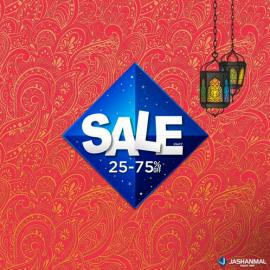 Get all information about Jashanmal Home Dubai offers, Jashanmal Home Dubai promotions, Jashanmal Home offers in Sharjah, Jashanmal Home offers in Abu Dhabi, Shopping Mall offers and Jashanmal Home Al Ain offers by browsing through TomatoSALE.